Keswick is definitely a place that people head to for outdoor adventures, but here are a few Keswick with Kids suggestions for the days that you don’t fancy putting your hiking gear on. Castlerigg makes a wonderful setting for a family walk, but the stones themselves should prove pretty interesting for any mini enthusiasts you have with you. 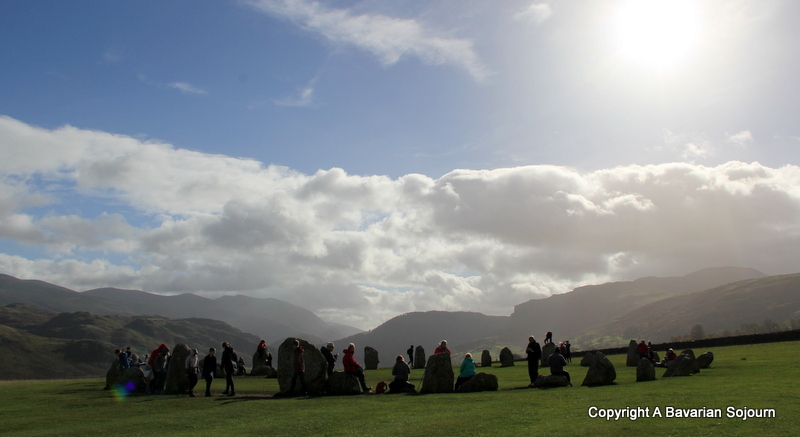 It’s not the biggest stone circle in the world, but it’s thought to be the oldest in the UK. If you tell children that it’s been standing year for over 5,000 years, so it was pretty old even when the Roman’s were busy in this area – even the most history hating child can’t fail to find that interesting. Can you count all 38 stones? It’s thought to be impossible…. There’s a strategically placed Ice Cream van on sunny days – the promise of which always helps us to get a decent look at things! Not the biggest museum in the world, but very sweet and worth a visit. Learn how pencils are made by one of the oldest companies in the UK. Reminisce about old packaging (I saw a few Christmas presents of my past in the display cabinets) and learn about local history of wad (the material first used for pencils). There’s plenty of pencil making machinery to inspect, not to mention the biggest pencil in the world. 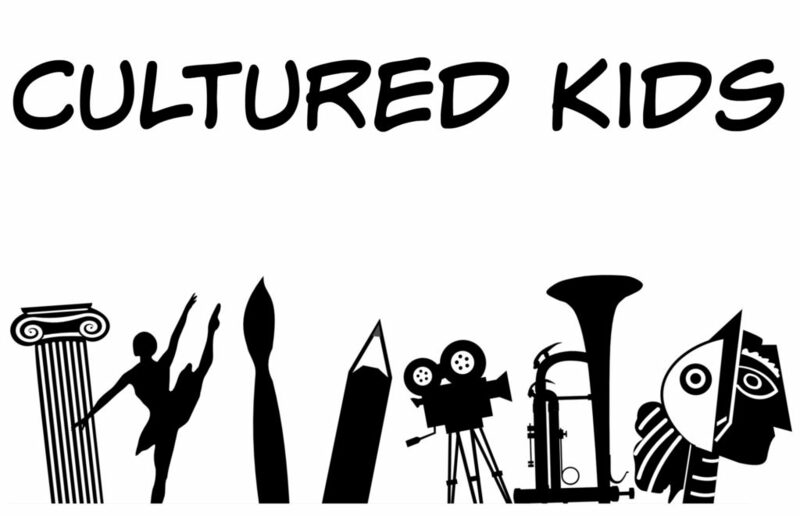 Look out for the tiny hand carved pencil lead sculptures, the huge pencil sharpener collection, and join in with various drawing demonstrations. 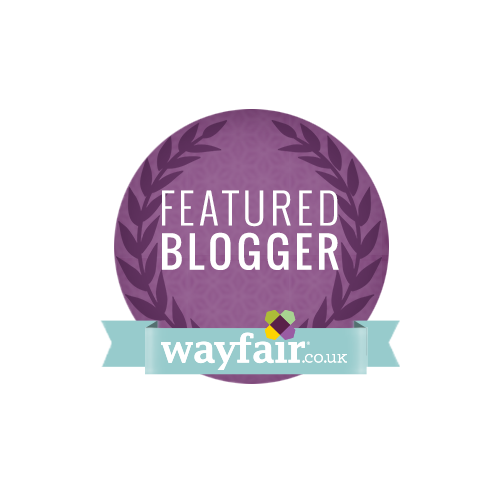 The shop is amazing for any drawing enthusiast and there are some great offers to be had. The cafe is also really lovely. 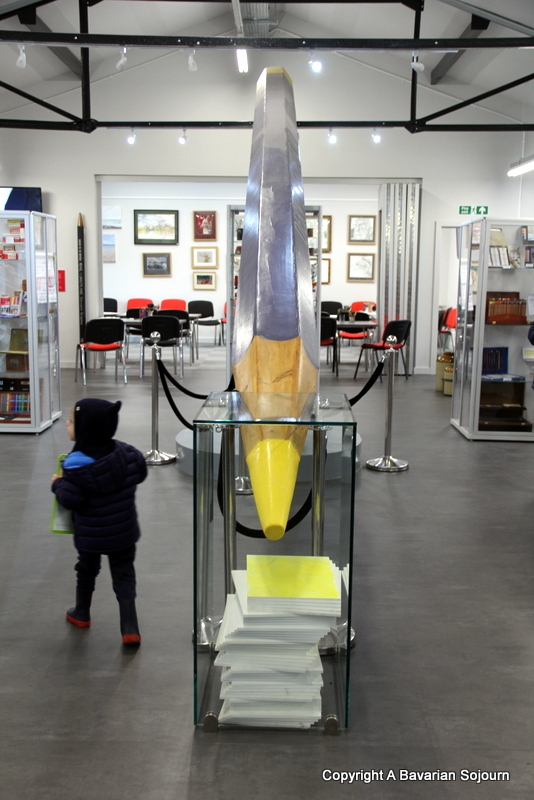 Biggest Pencil in the World apparently! Directly next door to Castlerigg, so you could combine the two if you want a slightly longer day out (or need a bit of blackmail material). 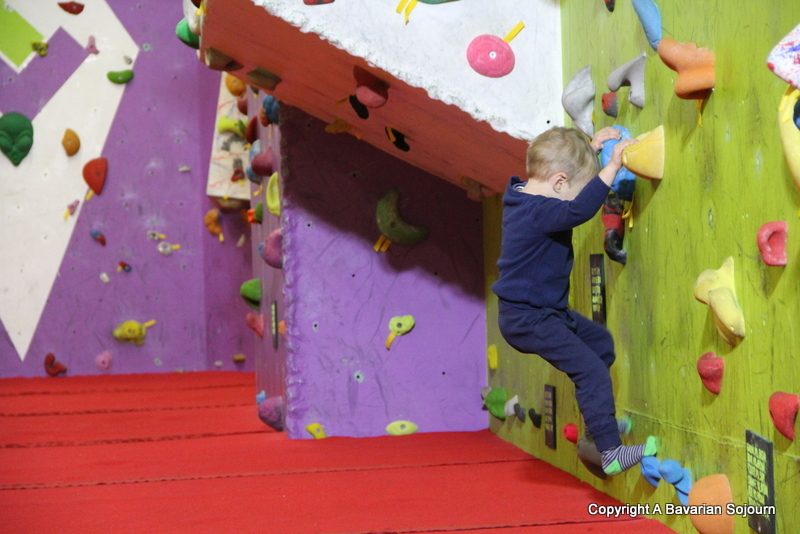 We really enjoyed Keswick Climbing Centre as it offered something for the older two AND the Toddler. The Small Boy and his Sister had an hour’s climbing lesson with an instructor, after which they were free to use the bouldering wall by themselves. Meanwhile the Toddler had great fun solving the sheep puzzle outside in the adventure playground for small people (which also included a lot of climbing walls, just miniature ones!). A huge amount of thought has gone in to the playground, and it kept him occupied for at least an hour and a half despite the miserable weather (he LOVED the zip line, just tell children to hang on tight, there’s quite a swing at the end!!). The Climbing Centre doesn’t just offer climbing, they also organise canoeing, canyoning, archery, quad biking and plenty more besides. Do call in advance to ensure you have a space before turning up. The Hungry Heifer cafe is great for topping up energy levels too afterwards. Another climbing centre, but this time in the centre of town. 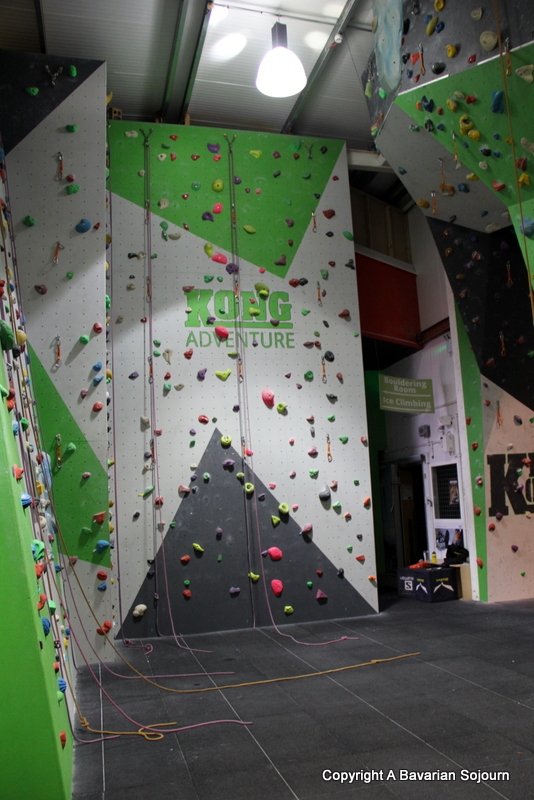 Kong Adventure offers various indoor climbing and bouldering walls (and even a spot of indoor caving! 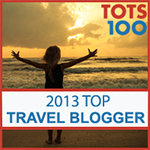 ), and also organises plenty of outdoor adventures too. You can’t really miss the giant gorilla outside! Prices from £6.50 per child for a climbing wall session. The gelato at one of Keswick’s most popular restaurants proved so popular they expanded to open a Gelateria just up the road. As I like to consider myself a bit of a gelato expert (having sampled plenty in various parts of Italy over the years! ), I am happy to confirm that Casabella’s gelato is as good (if not better in some cases) as any I have had in Italy. Choose from 28 hand-made flavours daily. As well as the traditional flavours, there are also a few less traditional choices that went down well with our gang (peanut butter and jelly anyone?). A great Keswick afternoon treat! This is not the biggest museum in the world, but it really is worth a visit. 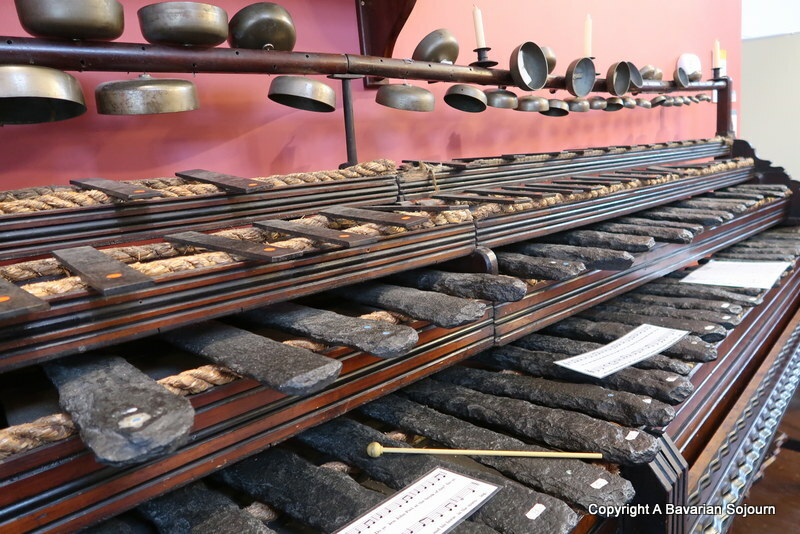 Where else might you find a Victorian giant geological slate piano, or mummified cat? It’s a great historical library of Keswick over the years, and has a separate collection room that hosts various exhibits over the year. Keswick Museum is full of child friendly things to do such as quizzes and craft activities, and downstairs there’s a great cafe. 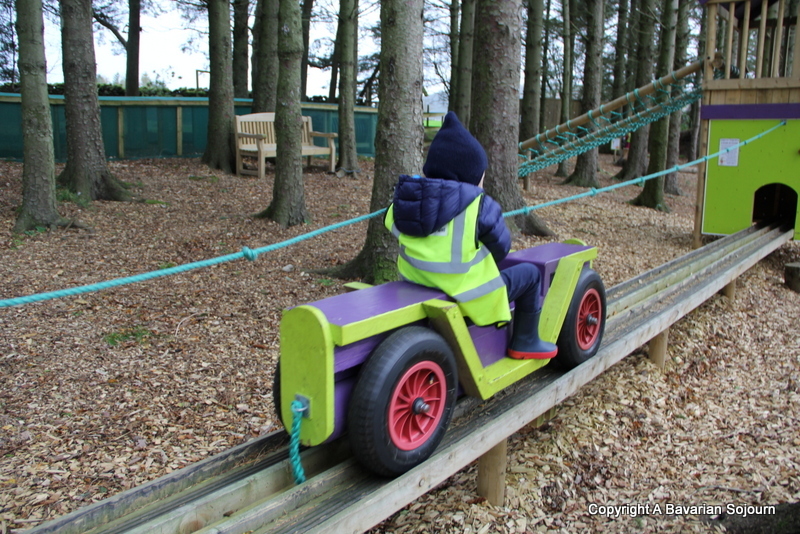 The park at the back is brilliant for burning off a little extra energy… Open daily, and a family ticket is £12.50. 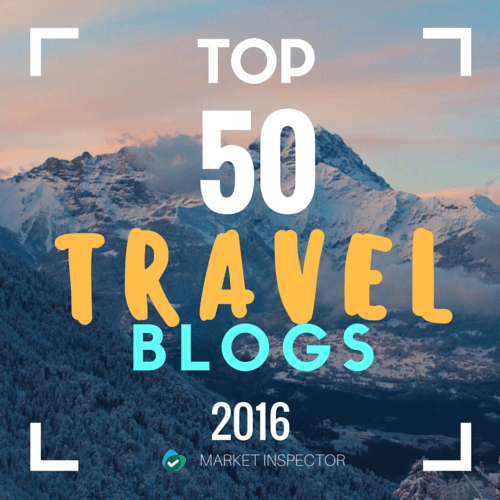 Keep hold of this and you can revisit for free at any point during your stay. The perfect rainy day activity (get there early though!). Keswick Leisure Pool has a great slide and a wave machine that runs from time to time. A family ticket is around £18, and cost of the car park is refunded with any ticket bought. Station Road, Keswick, Cumbria CA12 4NE. On the banks of Derwentwater you will find the most exquisite stately home with plenty to keep small people happy. 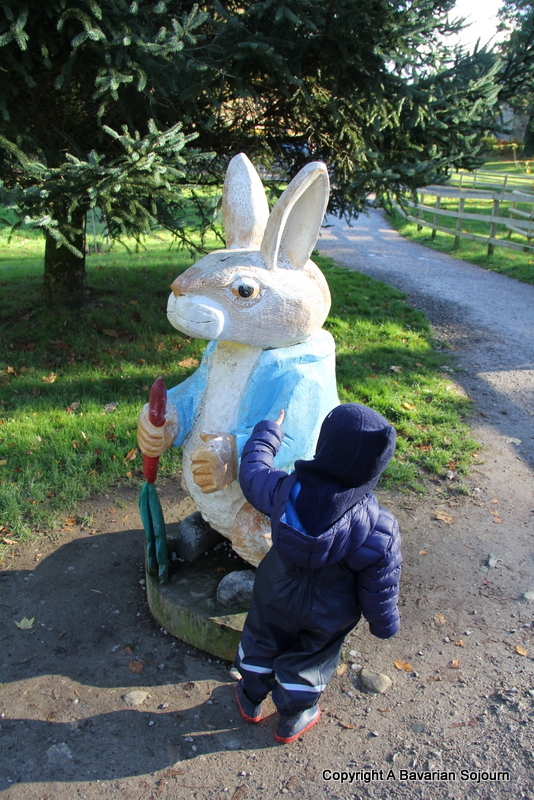 Lingholm is thought to have inspired Beatrix Potter (who stayed here for several summers), you will find a few of her famous characters dotted about the place – including Peter Rabbit of course. It’s easy to imagine him in the beautiful Walled Garden, and the Kitchen Garden restaurant is famous for its excellent food and child friendly facilities. 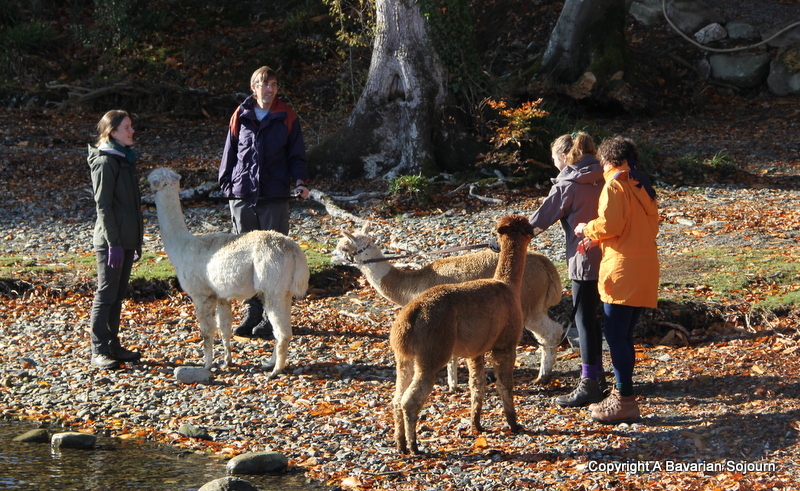 Take around a walk around the grounds, or down by the lake and maybe even meet an alpaca or two! The estate also has plenty of accommodation options. 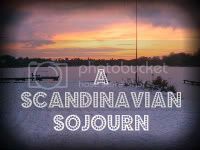 I want to visit all the places in your post! The Alpaca walking especially looks fab! For me I would firstly be tempted to give rock climbing another go as I loved it as a kid when I tried it once but the indoor cave would be a little bit terrifyly at kong centre as I’m scared of the dark! omg I want to visit the alpacas! I love that there is so much to do for kids, especially the variety of climbing centres. It’s really beautiful! Thanks Rebecca! I have never been to Keswick but this post has made me want to. There are so many places my kids would love to go. The Alpaca walking sounds amazing and something you don’t get to do everyday, what a fantastic experience. 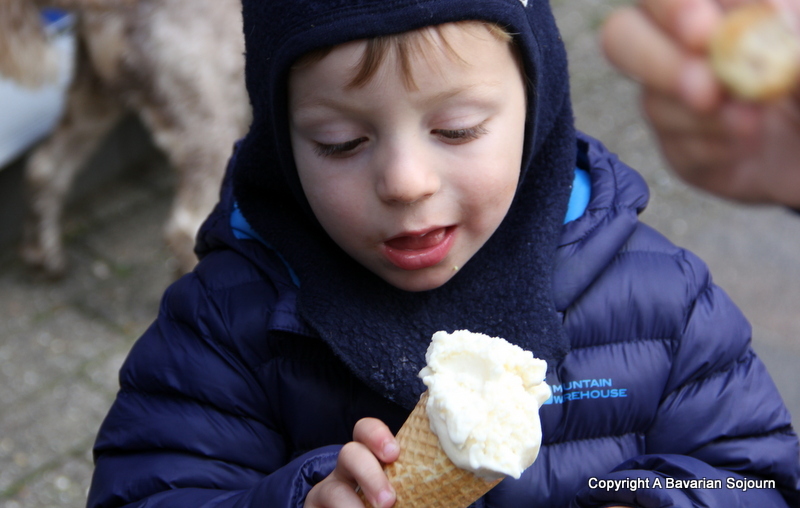 My eldest son would also love to visit Gelato Casabella. Keswick was famous among my friends for having one of the first vegetarian restaurants in the UK. It meant those of them who kept kosher could order everything on the menu. Brilliant. There were lots of gorgeous restaurants!